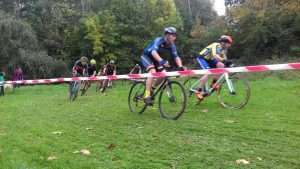 Sunday saw the always challenging Bill Higson Memorial event of the Wessex League at Prospect Park. 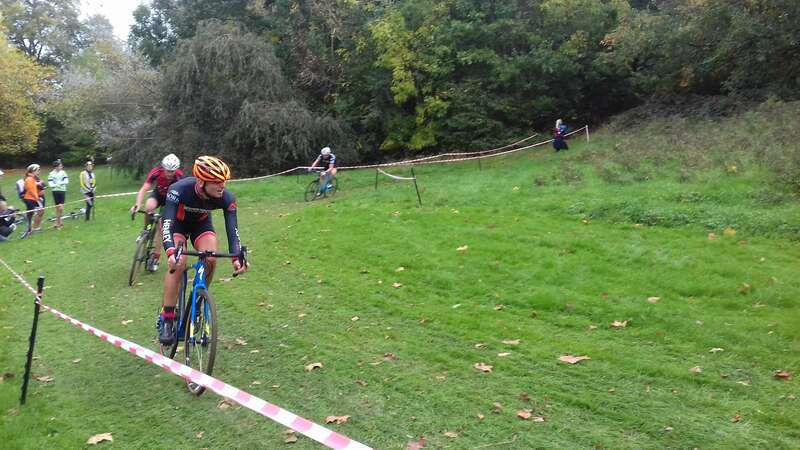 A dry course meant less hilarity than usual for spectators at Carnage Corner but there were still plenty of opportunities to fall off given the varied terrain, off camber turns and imaginative use of acorns as marbles to help you lose your back wheel on one particular fast corner. Performance of the round came from Lydia Brookes who placed 2nd in the senior women’s race. The overall women’s races have been excellent this year with very strong juniors, seniors and veterans meaning great competition throughout the field. Lydia now leads the league with five rounds gone. Despite a number of riders being unavailable due to injury, holiday or working away, GS was well represented in the the men’s races. 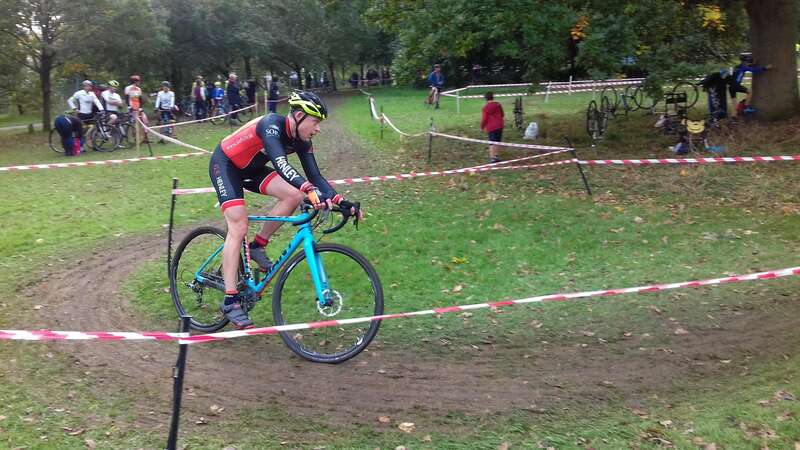 Nick Beech finished 22nd in the V40 race with Matt Hayden, in his first ‘cross race of the season, finishing 37th. Martin Cairns was just one place behind Matt in his first race for two years, a particularly impressive showing given he had a terrible start and was riding around on completely clogged up tyres with no grip. 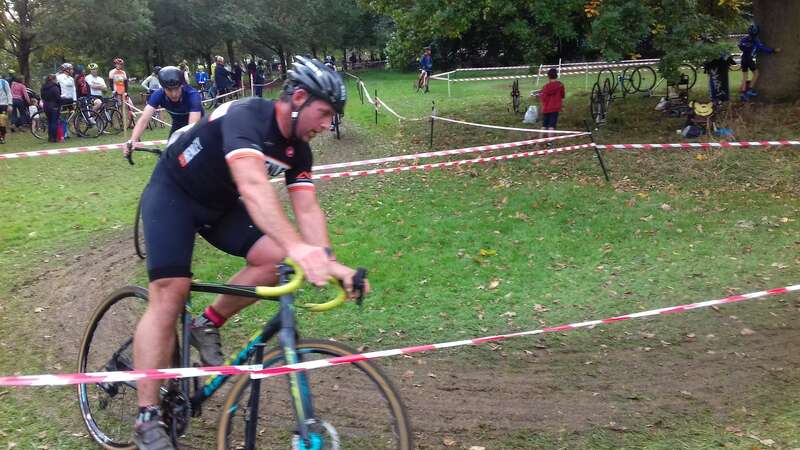 James Pilgrim-Morris and Nick Roux rode in the V50 placing 15th and 45th respectively. 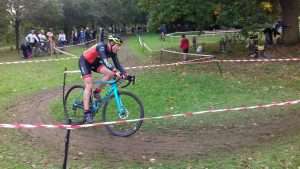 Chris Miles was the sole club representative in the Central League fixture at Hemel Hempstead the previous day, placing 61st in the V40 event. The next fixtures in the central league are at Milton Keynes Bowl (21st) and Bedfont Lakes near Heathrow (29th). Wessex racing resumes at Sparsholt College near Winchester on the 29th. 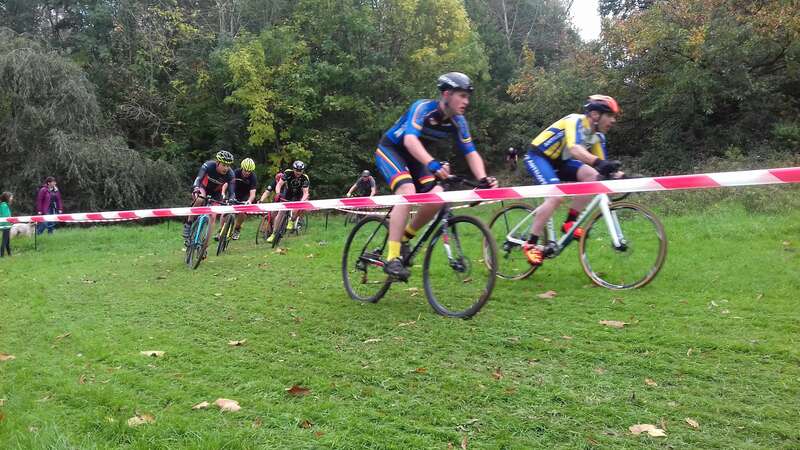 All of those upcoming league courses would be a good introduction to ‘cross for anyone wanting to give it a go, they are varied rather than super-technical courses so a perfect way to dip your toe in the water. Also next week there’s a Take3tri three-hour night race at Dalton Barracks on Saturday 21st where everyone who enters gets a complimentary beer. It’s a new format that can be raced individually or as a pair and has been developed to emphasise the fun elements of the sport, more details can be found here: http://www.take3tri.co.uk/events.